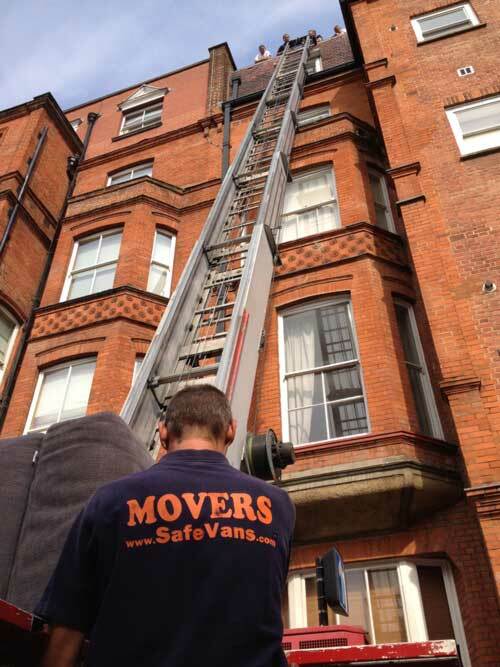 For higher properties or flats on higher floors we use external hoists. Furniture hoist is mounted on separate platform van and allow us to move in or out large pieces of furniture where otherwise access would be tight or difficult inside the building. Our business moving teams has successfully moved a number of companies large and small, all over London. Our commitment is to provide a top quality removal service. Most of our commercial moves are in the Central and West London areas, moving businesses in finance, media, accountancy, publishing, law, design, architecture, and IT, to name just a few. We can handle small, large office moving, single item and multi-drop. We can deliver for you: business to business, business to customer. We have experience with moving specialist items such as: antiques, paintings, artwork and musical equipment. We have done removals for clients exhibiting at all of the major exhibition venues. We have the experience of different loading scenarios to make these jobs run as smoothly as possible for you. Call us now to discuss your requirements and to get an individual quote for your particular job. Where access is an issue we provide an external hoist (up to around 20m high) to speed up the process and handle bulkier items. We offer delivery to and from storages, shops.